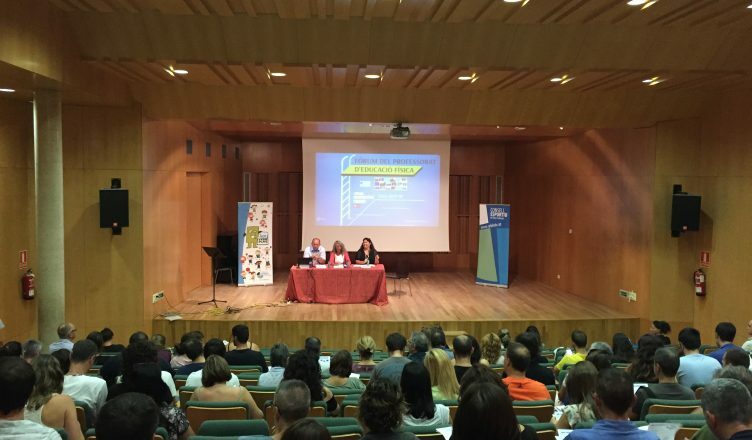 On 7th September, more than 200 physical education teachers and coaches of the Baix Llobregat, attended the Forum, the opening day that takes place each year at the Palau Falguera in Sant Feliu de Llobregat. The event comprised three parts; in the first part, we presented the programme on sport activities for pupils, and training sessions for teachers. The second part was dedicated to raising awareness among teachers on the importance of the Green Play philosophy, methodology and tools. The last part on ‘Assessment based on competences’, a speech aimed at the teachers, to explain the new guidelines they must follow to assess their pupils’ progress. Training Green Play Coaches is now available!